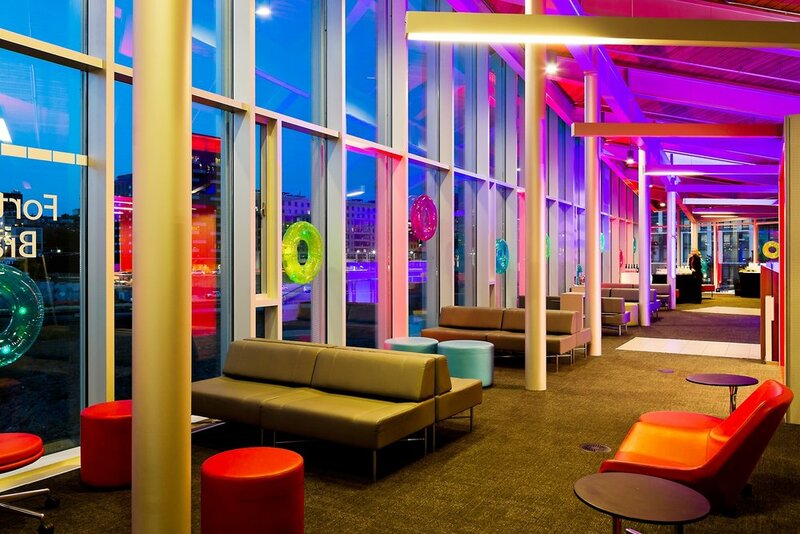 A modern, award-winning glass design with urban neighbourhood appeal and amazing views of the city. 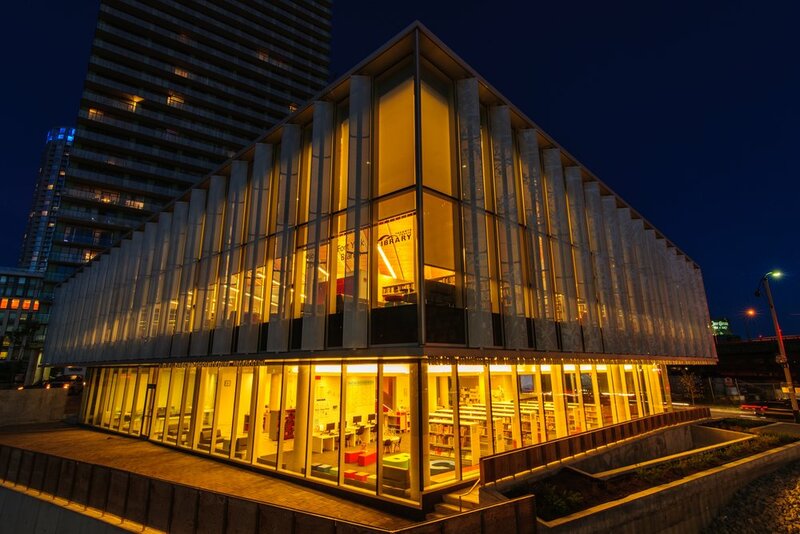 Fort York Library is a highly transparent two story glass building oriented to yield unimpeded views to Fort York, the city and the lake. 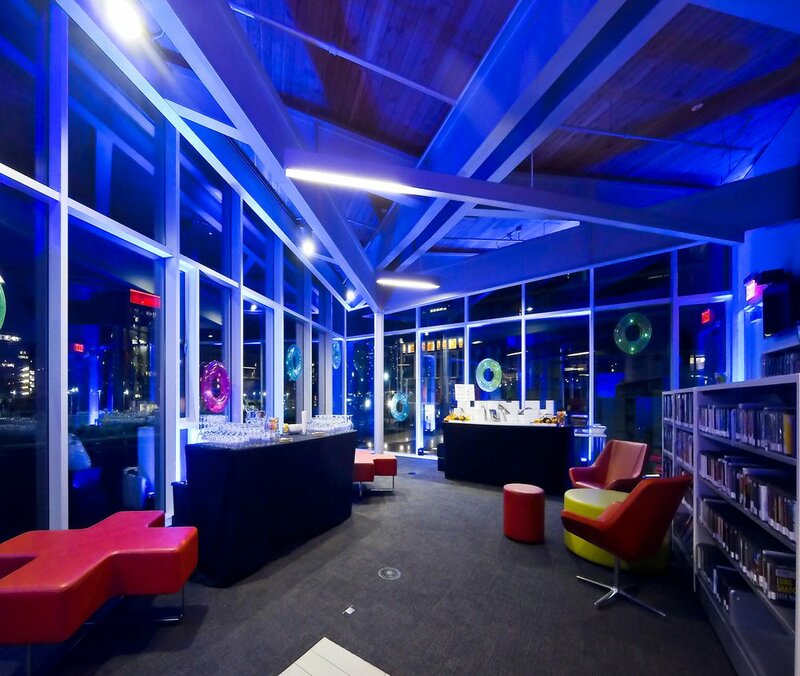 Mobile book cases, built-in custom counters and sleek lounge seating combine for maximum flexibility to transform this beautiful downtown library into a stylish urban event space with easy transit access and nearby parking. For more details, view the Information PDF. TTC streetcar #511 southbound from Bathurst subway station or northbound from Exhibition to Fort York Boulevard. Paid. Nearby parking lots on Portland and Front Street. 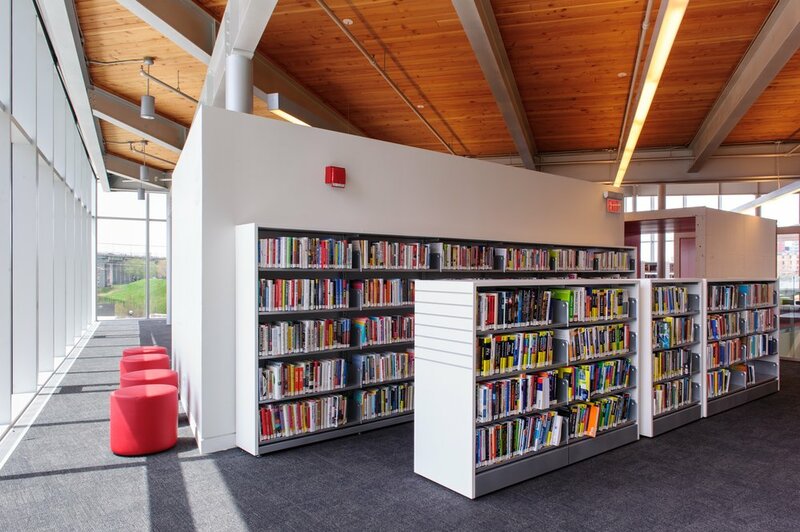 Located on the northeast corner of Bathurst Street and Fort York Boulevard.